For the first time in weeks I feel I finally have a minute to pause, breathe, reflect. I’ve heard many people say the hardest part of writing a book comes after the book is finished – this, I can now say with confidence, is true. My last few months have been consumed with getting a draft manuscript through all its various stages to reach publication standard; my last few weeks consumed with final proofs, marketing plans, publicity, sales, with lying awake at night feeling like I’m about to give birth and worrying about all that might go wrong and what if my baby is born with two heads and no feet. I miss writing. I miss sleep. But still, all I have worked towards for the last year is about to be born, and this is both exhilarating and terrifying and there’s no place I’d rather be right now. One of the things I’ve had to consider in the last while is not the what of my book, but the why. Because it isn’t about what I do. I wrote a book. This is not outstanding in itself. Anyone can write a book. The book itself doesn’t matter. The why does matter. Because in the why lies the reason you will, or won’t, choose to pick up my book on a shelf laden with hundreds of other equally-as-worthy-of-your-attention books. 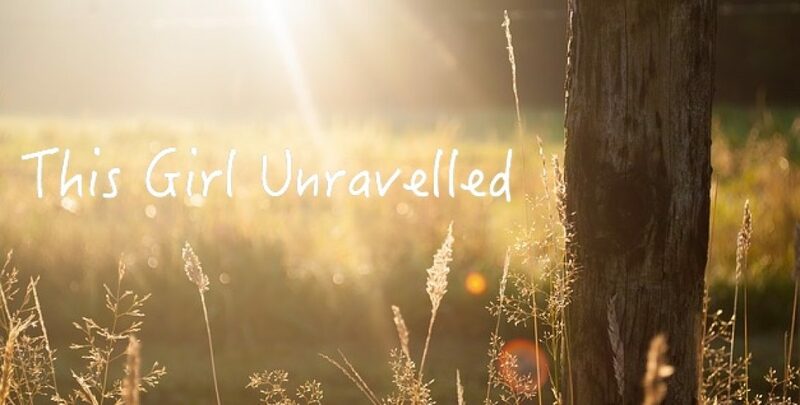 So why, then, did I write The Unravelled Heart? There are many reasons I could put down here. But mostly, I wrote this book to be the voice for those who still live in the silence. Because for most of my life, I have been silent. This is the thing with people who have suffered abuse – though the abuse is never our fault we become silenced by the shame of what others have done to us. We lose our voice – scared to speak out loud, scared no one will believe us, scared we will be ignored, scared we will be blamed. Scared that all the ugliness, the filth, the guilt, the rage, the ambivalence, will all be exposed and we will be further shamed by all we have fought so hard to suppress. Often too, our abuse comes through the betrayal of those who should have protected us, and didn’t. And so engraved on our hearts are these words: we aren’t valued. We aren’t cherished. We aren’t loved. We aren’t worth anything. Because if we were those things, we would have been protected. Kept safe. Listened to. Believed. And we weren’t. We learn our voices will never be heard, our truth will never be validated. So we remain silent until our silence begins to corrode our soul; like rust, like a cancer that eats away at our hearts and our lives until it nearly destroys us. Or until we destroy ourselves first. I wrote The Unravelled Heart because in ashes of my destruction, there I found my voice. There I found the courage to no longer be silent. And there I determined to use my voice to speak the words others weren’t yet able to say. Words of truth. Words that weren’t afraid. Words that would take those ashes and exchange them for beauty, for art, for light, for love. Words that would echo through the silent hearts of others and bring comfort, healing and hope. It’s taken me years to understand that my brokenness is a gift; that it allows me to see the cracks often overlooked by others. Here is where I dwell. Here is where I write. Here is where my voice will be found. Thank you for the opportunity to share that voice with you. If you haven’t yet ordered your signed pre-sale copy of The Unravelled Heart, grab your copy here. This is exactly what I went through, amd sometimes (2 yrs later) still experience. I still feel humbled and grateful each time someone purchases my book. Its a weird experience because you are putting your truth out there and it will help others. Good luck!